First we celebrate with frozen yogurt. Jax clearly loved this! 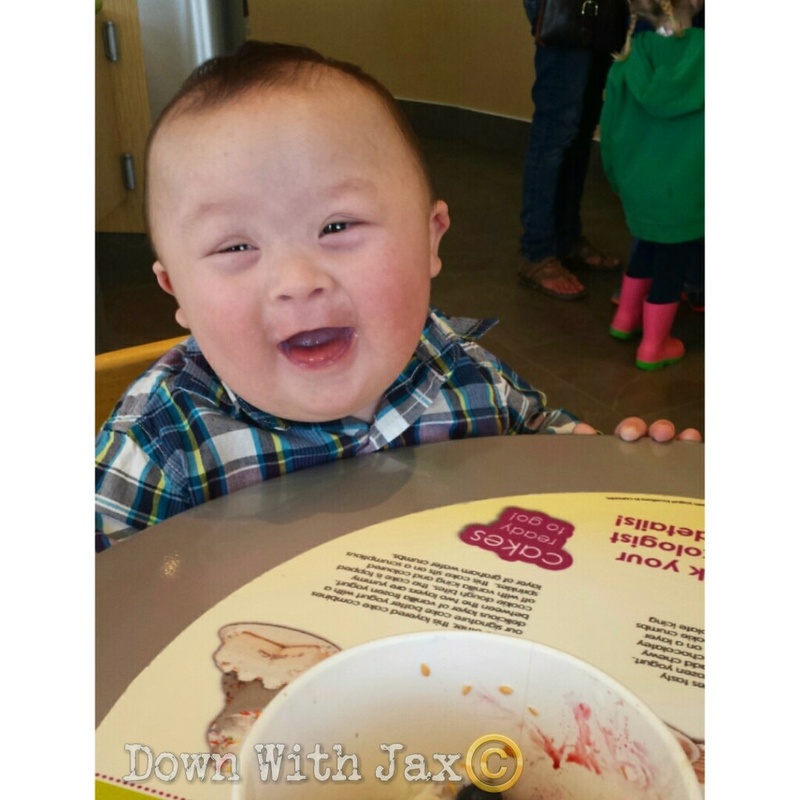 The next celebration on the list is World Down Syndrome Day. This day is celebrated on March 21. 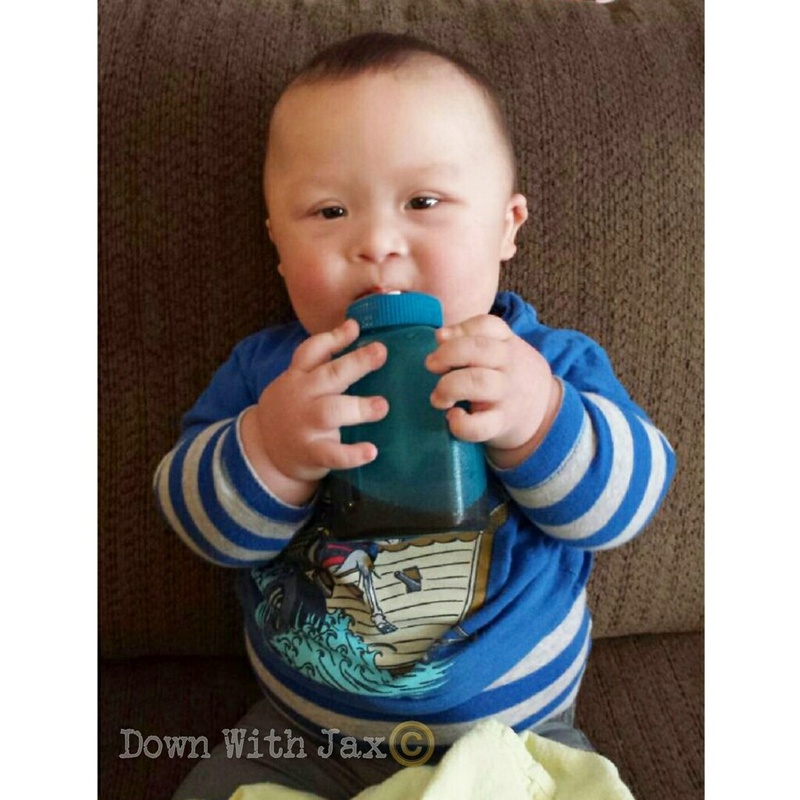 3-21 for obvious reasons: Down syndrome is 3 copies of the 21 chromosome. Unfortunately I have to work on this day so there won’t be too much celebrating for our little family. 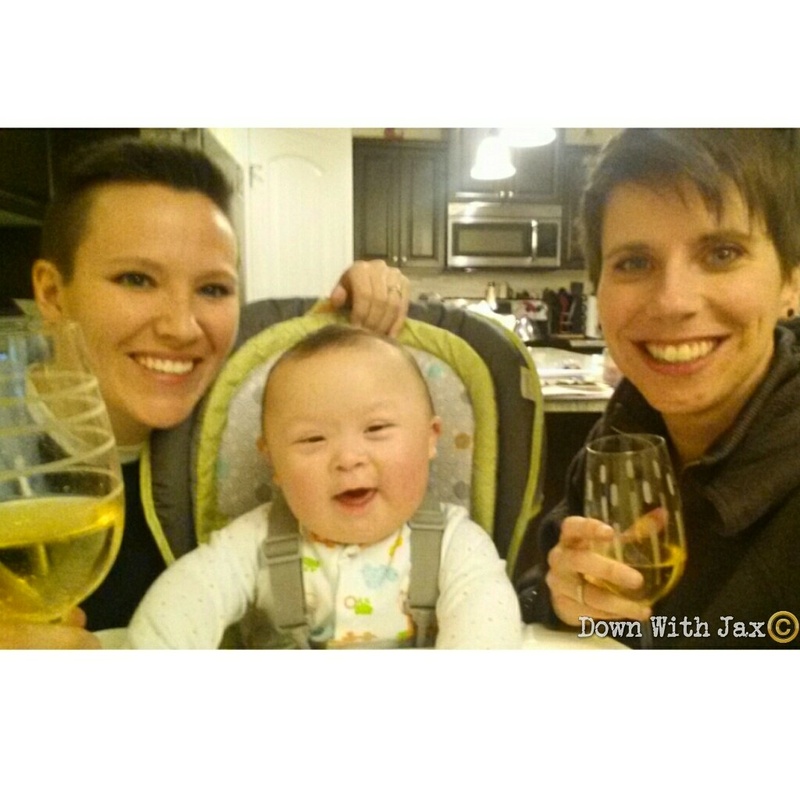 I am very jealous hearing everyone else’s WDSD plans and will live vicariously through everyone else. My sorrows of missing out on WDSD will be consoled by the thoughts of the other things we have to celebrate over the next few months. Lucky guy has A LOT of cakes to consume in his near future. I think he will be up for the task! Of course we can’t forget to celebrate his accomplishments, and fun new things he has learned over the last little while. Jaxson has also figured out standing, and has gotten quite stable over the last week. You can’t tell but he is standing on the counter in this picture. Too cute not to post! And the newest accomplishment we’ve been celebrating is drinking from a straw. I am actually quite weirded out at how fast he picked this one up, as it takes kids a while to master this one. He sucked and drank the very first time Alex put the straw in his mouth. Well I’m all celebrated out just thinking about all of the celebrations! I’m sure I’ll have something to post on WDSD so check back on saturday! Of course, as usual, your blog never disappoints!!! 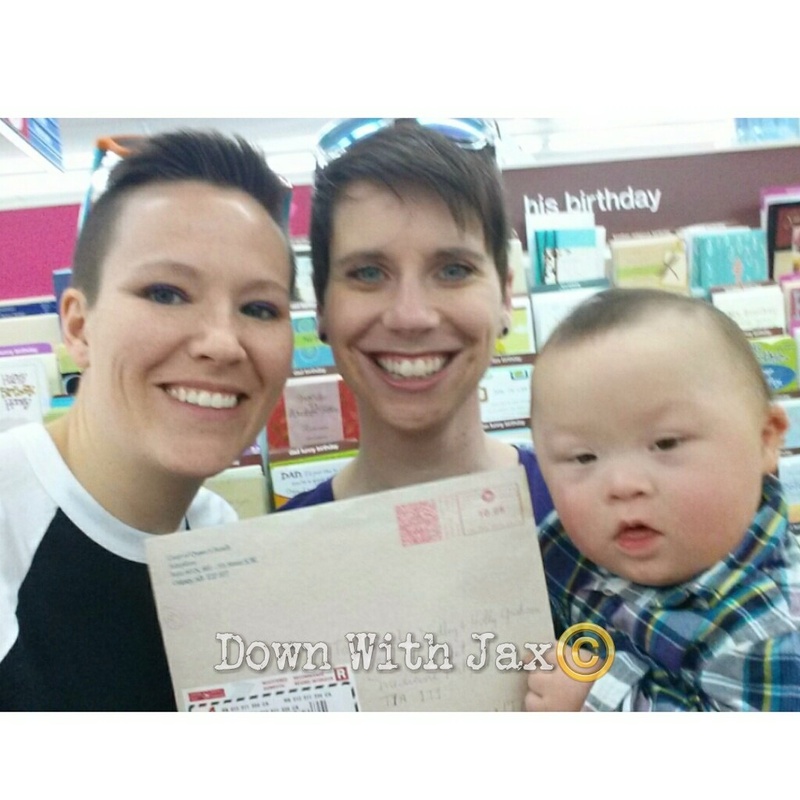 Love all the pictures and hearing about and seeing all Jax’s accomplishments. He is one smart cookie!!!! And soooo cute!!!! Thanx so much for all the updates. As a nurse i am really enjoying the posts and i feel like i know jax!